Botanical Liaisons LLC Executive Director, Trish Flaster, implemented one of the first herbaria in the herb industry in 1985. It was the importance of knowing what starting materials you had as part of your quality program in manufacturing that drove her insistence to have herbaria as part of good quality practices. 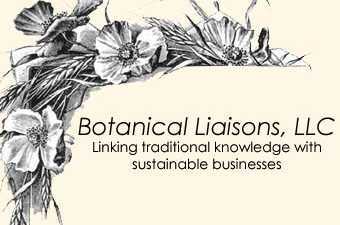 Today, Botanical Liaisons is one of the few companies that provides botanical reference materials to manufacturers, regulatory agencies and academics. Established in 1938, Fairchild Tropical Botanic Garden is dedicated to research, conservation, horticulture and environmental education, and serves as a clearinghouse for botanical information and data. Working with Miami-Dade Natural Areas Management Fairchild is conserving 24 local threatened species; in the Caribbean, S. E. Asia and Africa Fairchild works with local botanic gardens and in-country conservation teams. The garden is renowned for its collection of palms, cycads, and other tropical plants, with 19,000 accessioned plants representing 5000 species. Fairchild has over 100,000 specimens in its herbarium; over 30,000 are available on-line through the virtual herbarium. Thousands of students, from elementary through graduate level as well as adults, participate in the educational outreach programs. The Fairchild web site has hundreds of plant pictures from all over the world, as well as cladograms, databases and interactive keys. Vascular Plant Systematics was written and edited in the early 1970s by several botany professors at the University of North Carolina, Chapel Hill. ©1974, Albert E. Radford, William C. Dickison, Jimmy R. Massey and C. Ritchie Bell. Illustrations by Marion S. Seiler. 06-045308-7 Cloth, 06-045309-5 Paper, Harper and Row, New York. We are grateful to Jimmy R. Massey and James C. Murphy for permission to use this material. Most of our glossary images are drawn from Chapter 6 of this work, and most of our definitions are adapted from it. This link leads to their web site, which presents this chapter close to its original published form, and is an excellent introduction to the subject.